Background: Differential operators are linear operators that turn functions into other functions by differentiating and multiplying. They play important roles in math, physics and engineering, but when their product is defined by composition they also form an interesting algebra. 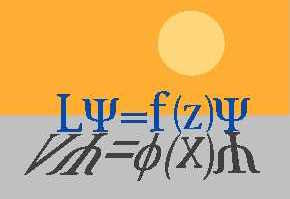 For differential operators acting on scalar functions, no differential operator involving differentiation is invertible. Surprisingly, in the case of matrix differential operators, the product of two differential operators of positive order can be the identity. This property seems not to have either been studied or utilized. What Courses/Skills Do I Need To Have Taken? Math 221 and Math 203 would probably be sufficient background for this project, although additional experience with differential equations and abstract algebra would not hurt. When Can I Work on the Project? I would be able to work on this in Summer 2016. More Information: Please email Prof. Kasman if you are interested in learning more.